Are you currently dealing with a dog that has recently attacked, or attempted to attack, a family member, a visitor to your home, or another dog? Does your dog respond fearfully to thunderstorms, loud man-made noises such as fireworks, construction work, and sirens, or is every trip in the car a traumatic event? Does your dog become extremely anxious when it is left by itself (separation anxiety)? 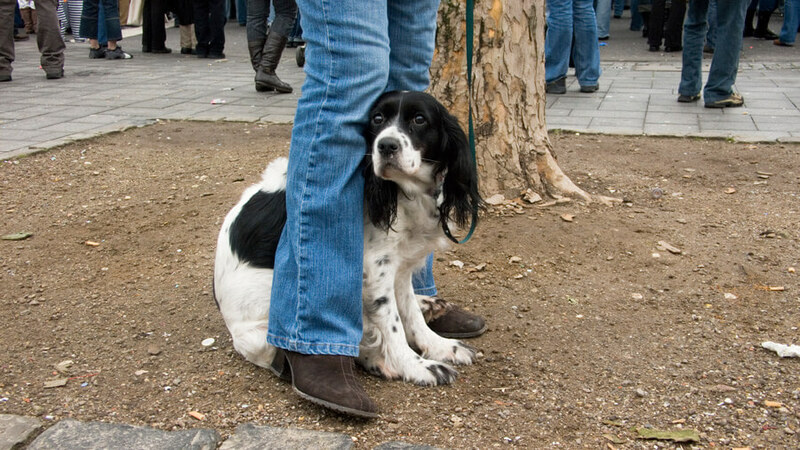 Do you find your dog clinging to you and following your every move when you are home? Lastly, does your dog exhibit symptoms of an Obsessive Compulsive Disorder? Some of the symptoms include, tail chasing, continual licking of the paws or other bodily areas until they are raw and bleeding, prolonged mouthing and sucking on pillows and cushions, and perpetual whining. If your answer is yes to any of these questions, Taming the Wild can help. Unfortunately, over twenty percent of domestic dogs suffer from persistent, unsupportable fears, obsessive-compulsive disorders, and phobias at levels that are deemed clinically maladaptive. This condition often gives cause to separation anxiety, fear of thunderstorms or loud, man-made noises, tail chasing, and imaginary fly snapping. Without proper treatment, these conditions become more intense as the dog ages, causing the dog to become increasingly fearful and reactive. Dog aggression is the number one reason why dogs are re-homed or euthanized in America. Dog attack cases to humans and dogs are the result of competitive aggression (food or object acquisition or defense), or non-competitive aggression (territorial or self-defense). There are many causes of competitive aggression, but typically, it is rooted in bad decision making on the part of the dog owner and a lack of proper training. Self-defense aggression, however, often finds its beginning in the dog’s genetics which predisposes it, as it matures, to develop an unwarranted fear of humans and dogs outside the family. When this type of dog encounters a perceived threat, it frequently uses aggression, rather than flight, as a defense. Regardless of which form of aggression used, if your dog is successful in its use, it will repeat the behavior in the future. Eventually, continued success will make aggression the “go to” behavior for your dog in conflict resolution, making it a danger to your family, friends, strangers, and other dogs. The good news is, there are proven behavioral adjustment plans and medications, which can help your dog achieve a safer and happier life free of unwarranted fears, obsessive-compulsive disorders, phobias, and perceived threats. However, because dogs often suffer in silence, these conditions require the owner to recognize the behavioral symptoms of each. Most dog owners and professional trainers are not skilled in maladaptive behavioral evaluations, and because of this, treatable conditions can go undetected for the dog’s entire life. Bryan, one of the owners of Taming the Wild, trained at Cornell and Tufts University and is an expert in evaluating your dog to determine if it is suffering from a maladaptive condition. If it is, he will accurately diagnose the disease, explain the cause, and recommend the appropriate medication (if necessary) and a behavioral adjustment plan to treat the condition. For over thirty years, Bryan has teamed with veterinarians and scientists, in developing comprehensive rehabilitation programs that have enabled thousands of dogs to overcome their fears and achieve a quality of life that would not have been possible otherwise. Bryan is the only person at Taming the Wild who can perform canine pharmacotherapy. Most people are apprehensive about using medications for treating their dog’s condition because they worry their dog will act sedated or will have to be on drugs for life. On both counts, they are wrong. The only thing that lasts for life are the positive changes Bryan’s behavioral adjustment plans create for your dog. If medication is a required part of your dog’s rehabilitation, Bryan uses the drug as a short-term facilitator of the behavioral adjustment plan that will transform your dog’s fearful associations to non-fearful associations. These medications often involve antidepressants that work by raising the threshold of the stimulus that evokes a fearful response from your dog, resulting in your dog becoming less reactive or panicky when confronted with the same trigger(s). Once your dog reaches this state, it will become receptive to the behavior adjustment plan that Bryan will customize for your dog’s individual needs. The behavioral plan will then be implemented and maintained until your dog’s reaction to the trigger(s) is a more normalized response. When this occurs, your dog will be removed from any medication that may have been utilized. What’s a Behavioral Adjustment Plan? For successful rehabilitation, ‘deactivation’ of established fearful or aggressive responses, while ‘activating’ confident and cooperative responses, must be accomplished. Otherwise, when your dog encounters a known ‘trigger’ of fear or aggression, it will continue to rely upon the undesired behaviors that allowed it to escape or cope with the ‘trigger’ in the past. Behavioral adjustment plans utilize specific training to teach your dog how to manage fears and resolve conflicts with confidence and cooperativeness instead of flight or fight. Regardless, whether medication is necessary or not, these plans are vital to the overall rehabilitation process. Each behavioral adjustment plan is tailored to your dog’s individual needs and can be accomplished with a Basic or Advanced Pharmacotherapy Program or a Board and Rehab program with Bryan. Bryan will need to meet with you either in person or online to evaluate your dog’s current condition. To assist Bryan with your dog’s evaluation, please complete and submit the Behavioral Assessment Form (BAF) by clicking the link below. After you submit your BAF, you will be given the opportunity to schedule your dog's evaluation. For your convenience, Bryan can meet with you in our Memphis, TN facility or online. The cost of the initial evaluation is $300, whether you do it at our facility or online. A $150 non-refundable deposit is required to schedule the first assessment with the balance due at the time of appointment. No shows or same day cancellations will be charged the full amount of $300. For many years we cared for a physically-challenged special needs dog that required necessary prescribed meds, much love, and gentle care. After Sadie was gone, we went in search of a new pet and quickly fell in love with Taylie who had lingered with a rescue group much too long. We suspected that she too was challenged but possibly in another way. It didn’t take long to see that her special needs were behavior driven. We talked at length with our Vet, researched her diagnosis of OCD and Generalized Anxiety, and sought out trainers. As painful as it was for us to deal with her aggression, fear, and obsessive traits, we knew it was even more painful for Taylie! 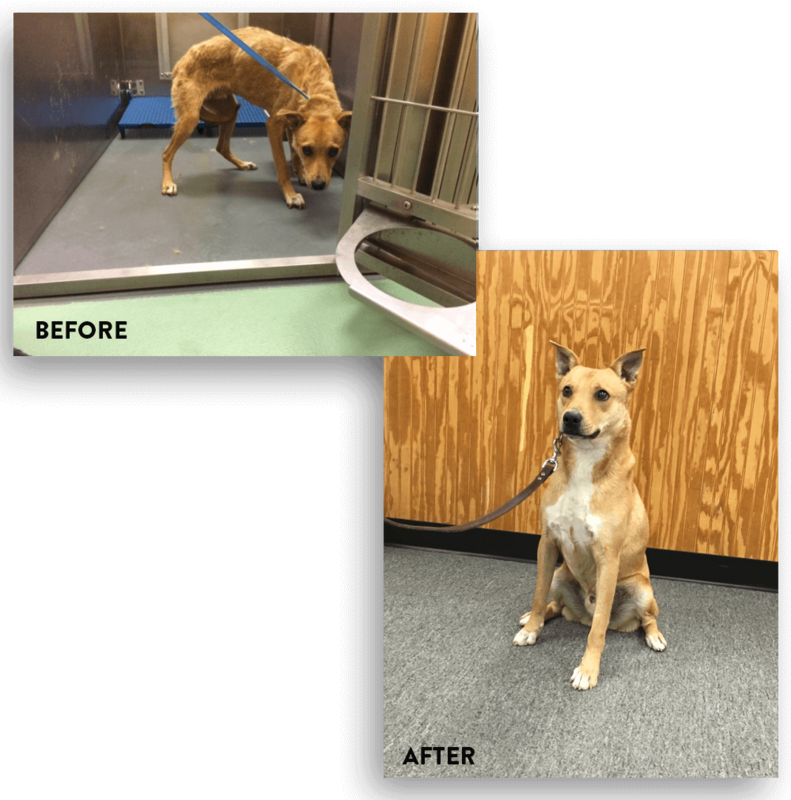 Just like we had put our confidence in a pharmaceutical treatment for Sadie’s physical ailments, we were open to treating Taylie with prescribed meds too. How lucky that we live in Memphis when we discovered that Taming the Wild had the answer, Bryan, who had the skill and knowledge to further evaluate Taylie's condition and concur with Pharmacotherapy as prescribed by our Vet. Taylie just finished a week-long class (Fearful and Aggressive) with miraculous results. We are thrilled with the outcome of her new-found relaxation techniques along with a supervised RX dosage. We all are enjoying life more and cannot thank Bryan and the TTW staff enough for their help and support!! Bryan is very knowledgeable, friendly, and charismatic. I brought my dog in for aggression consultation, and we received good advice. He also gave us a card with his personal phone number to send a video of the behaviors my dog was exhibiting at home so he could give further feedback. Very awesome service and well worth the money. I highly recommend Bryan and Taming the Wild! Our 6 year old pit bull, Stella has high anxiety. Everything scares her. Then we got a new Mastiff/mix pup and we started having problems. As the pup grew, so did their fighting. We took Stella and met with Bryan and that was the best thing we ever did. He helped us so much that the girls fighting has basically stopped.